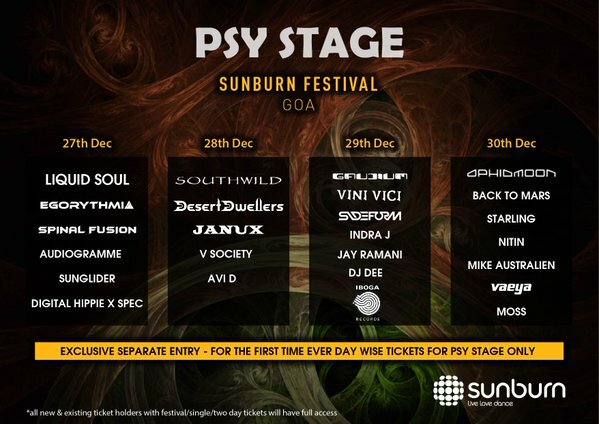 Sunburn Goa which is knowns as the biggest EDM festival in Asia and is rated among the best in the world was founded in 2007. This year marks the 9th year of this festival & it keeps getting bigger and better. What started out as a 2 day festival, Sunburn has come a long way to establish itself as the mecca of EDM attracting international artists like Dimitri Vegas and Like Mike, Afrojack, Knife Party, Krewella and many more. Music is something that transcends all boundaries and this is what Sunburn is about, it aspires to incipient a feeling of freedom, a state of infinity that stays with you forever. 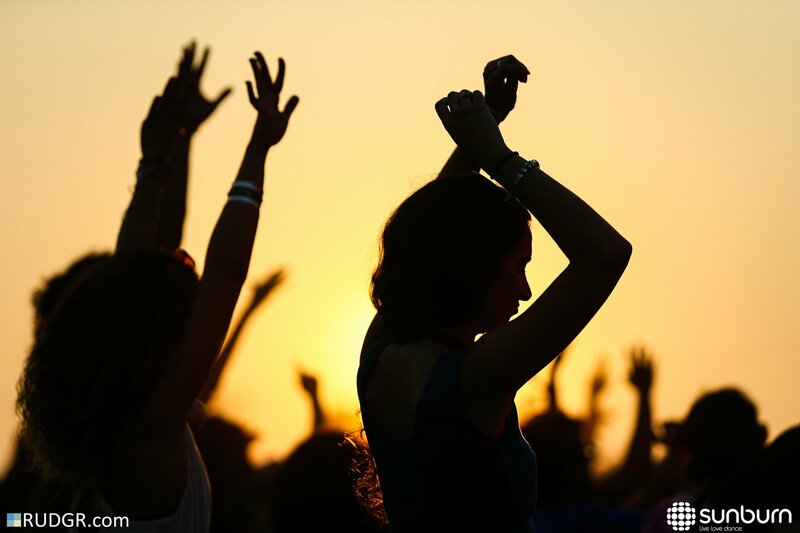 Goa has had a long association with dance music, dating back to the trance scene in the late 80s. With sandy beaches, awesome weather it’s no reason that it is the host to the biggest EDM event in India. 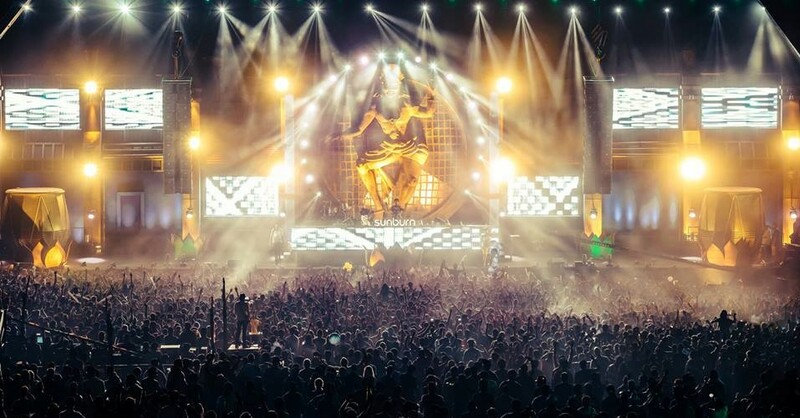 The Sunburn festival’s venue is something that we totally love! Steeped in rave culture, Vagator is a happening place and with Sunburn being hosted at Vagator, it gets even better! The world’s No.1 DJ duo Dimitri Vegas & Like Mike, the young prodigy of big room, Martin Garrix, the legendary David Guetta and one of the fastest growing artist in the genre of tropical house, KYGO will be headlining the main stage at Sunburn Goa 2015. These jaw dropping headliners will surely bring the house down. Having ignited the world of house and techno over the past decade, Seth Troxler will finally be gracing India for the first time at Sunburn Goa. As an eminent presence at both festivals and the underground party circuit, the 29-year-old has had a front row seat for the dance music culture’s tumultuous growth over the past decade. We are eagerly looking forward to the techno savage. Sunburn Festival is known for its massive stages, allowing the audience to witness some miraculous performances on mind-blowing sets. Sunburn blew us away with their five stages at last year’s festival, so the announcement of seven stages is surely a blessing. The More, the Merrier. Right! 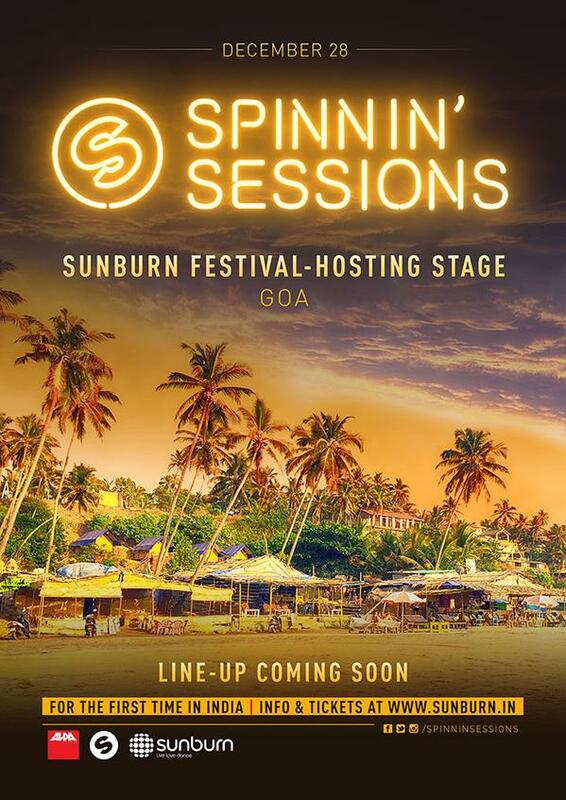 Sunburn recently announced the Spinning Sessions stage at Sunburn 2015. Spinning Records is one the biggest record labels in the EDM industry. This stage will be dominated by some of the record label’s best artists like Bassjackers, Lucas & Steve, MOTi and Sam Feldt. 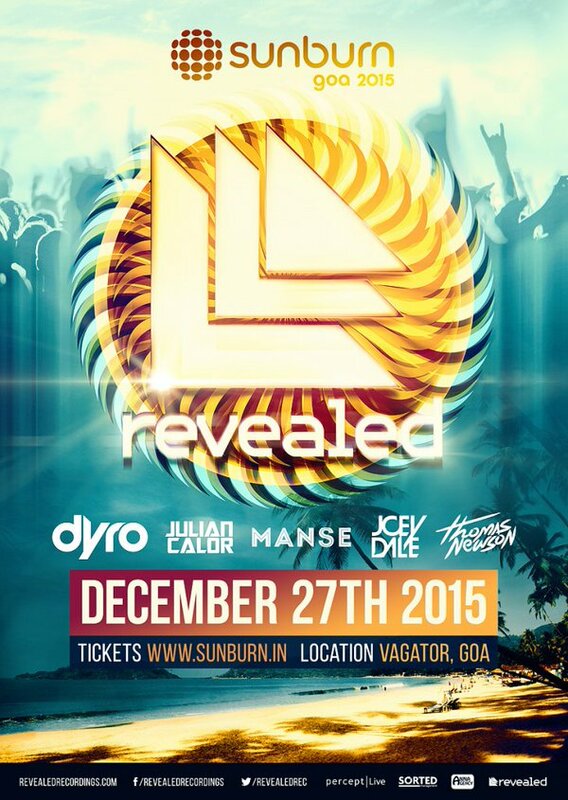 Sunburn has also announced a separate stage for Revealed Recordings, Hardwell’s record label which will be headlined by none other than Dyro. He will be joined by some of the best artists from this label- Thomas Newson, Joey Dale, Julian Calor and Manse. 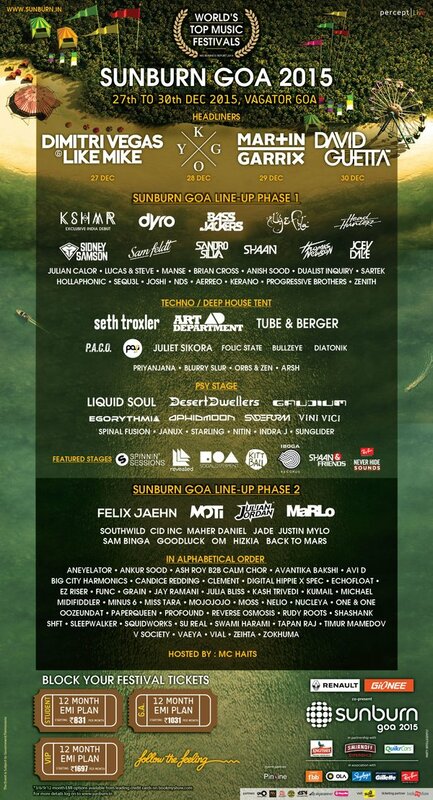 Psytrance holds a place of high esteem in Goa. With the growing fan base of this genre, Sunburn has gone the extra mile to celebrate both the genre and its birthplace and has given a special stage to this genre. A handful of impressive talents like Liquid Soul, Desert Dwellers, Back To Mars will handle the Psy stage. Techno & Deep house lovers rejoice!! 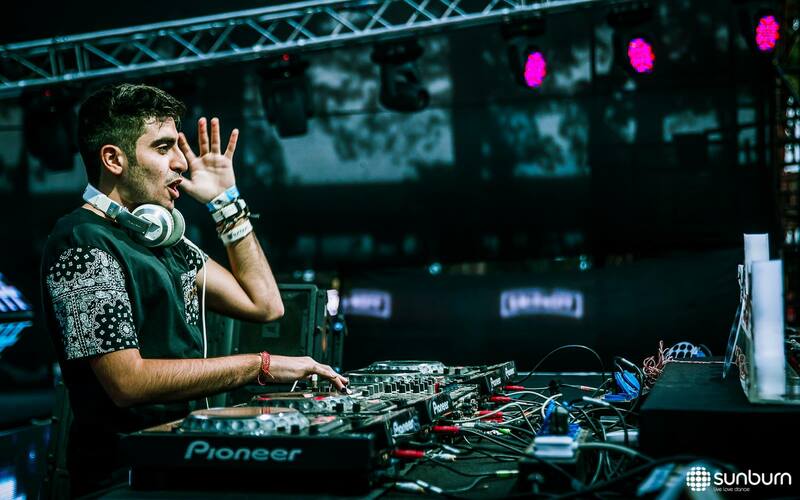 These American- born genres of EDM have been around the longest and have quite an entourage in India. 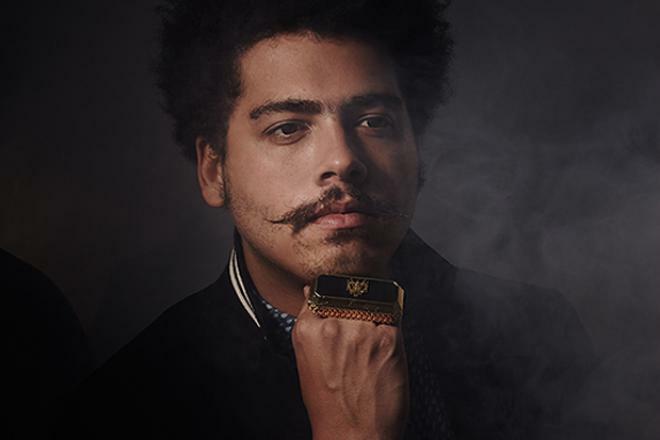 Get prepared to rave with Seth Troxler, Art Department, Tube & Berger, P.A.C.O. and many more at the techno/deep house tent. With the steadily growing EDM scene in India, the Sunburn festival is a great platform for the emerging indigenous producers and DJ’s. A wealth of Indian talent in the name of Shaan, Qwiver, Anish Sood, Sartek, Priyanjana, Arsh, Janux, Joshi and many more will be performing at Sunburn 2015. 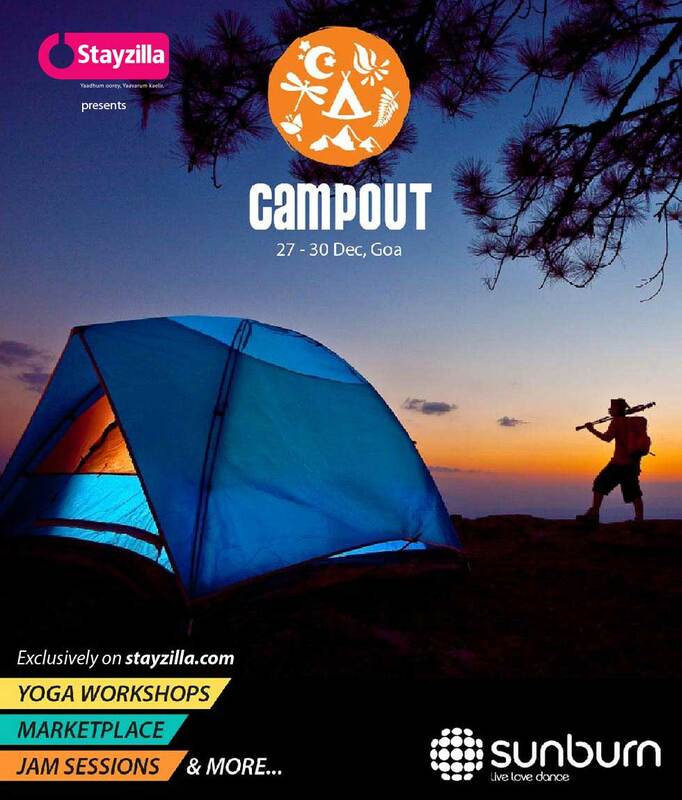 For the first time ever, Sunburn Goa will be hosting a campsite. 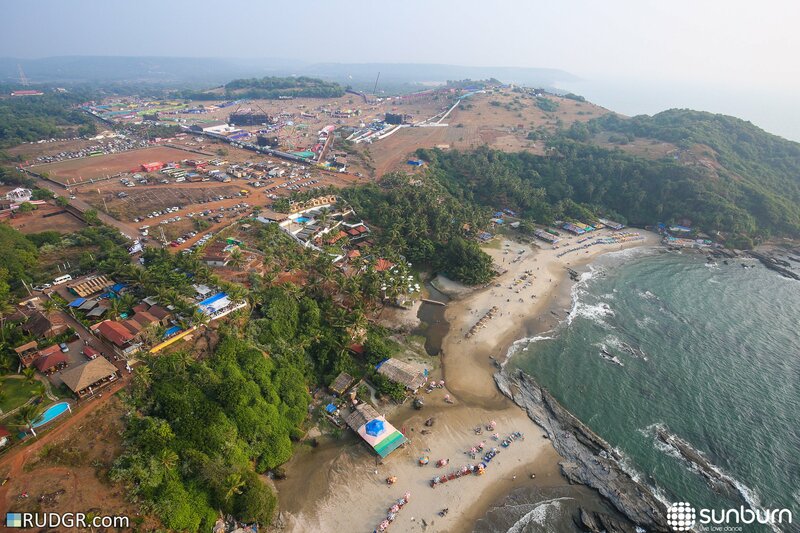 Described as an environment to keep its campers immersed in the same atmosphere that symbolizes Sunburn Goa for the entire duration of their stay, it will have a 24×7 marketplace, a dedicated bar, bonfire, jam sessions and much more. 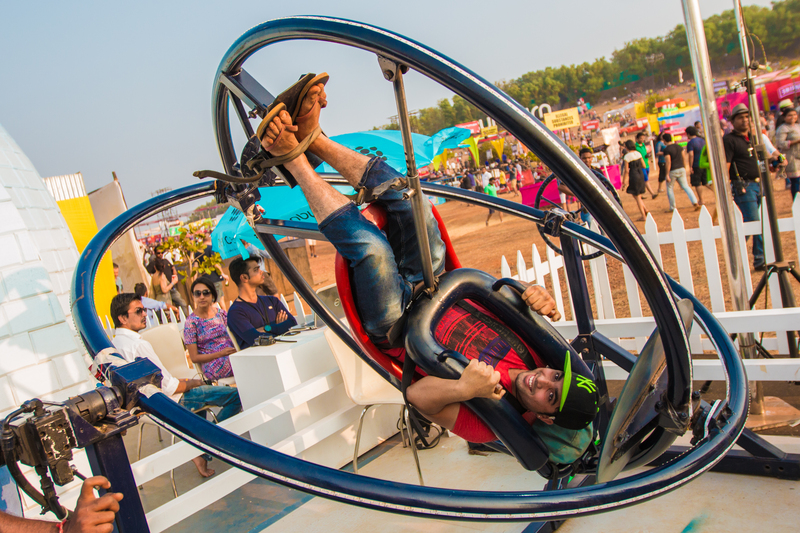 Apart from the incredible line-up and production value, Sunburn also provides tons of adrenaline-pumping parallel activities and experiences to choose from- Zorbing, Ferris wheel, Bungee, Zip lining and much more. For the less adventurous there are cruises, entire marketplaces for food, clothing, and souvenirs — all handmade and authentic from the local community. At Sunburn festival the party never ends. If a hard day of raving isn’t enough for you and you want to keep that festive oil burning all night then Sunburn brings you the Afterparties. Catch your favourite festival headliners play an intimate set at the ‘Afterdark’ parties. 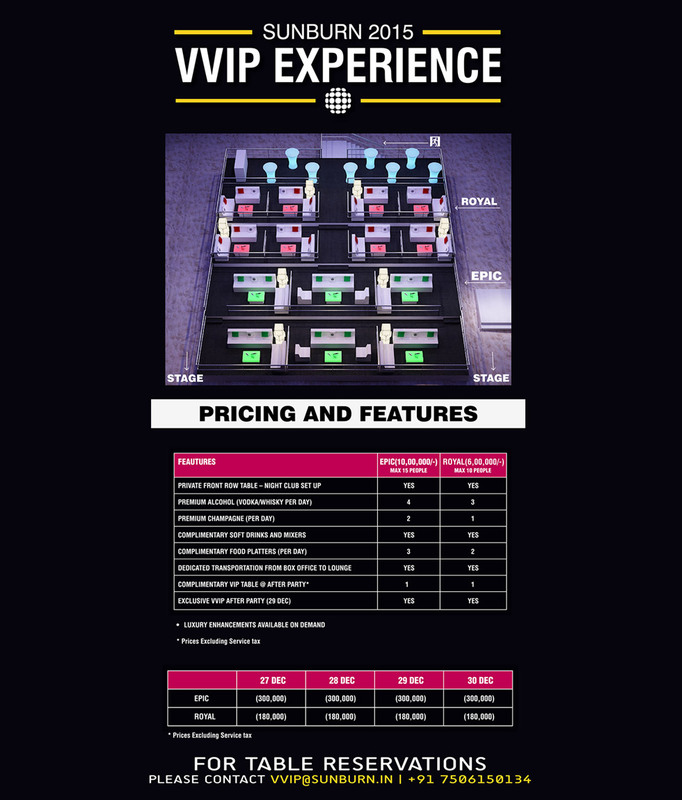 If you want to convert your festival experience into an intimate and private vacation of sorts, I suggest you the VVIP experience. Front row seats, complimentary drinks, VIP tables at Afterparties and much more, even though it costs extra moolah, let me tell you it’s worth every penny. Sunburn is not just about the number of artists or the grandness but it’s about the audience and their experience. After a year filled with happiness, joy and some tough times sunburn is the perfect way to take a break and leave your job, the stress, the pressures and the expectations of your life behind. To relax, reminisce about the good times in a perfect location with the people you love and with literally the best music to groove onto is a dream come true. Subscribe to our Newsletter to stay tuned on Sunburn Goa Contests & more exciting news about the festival! Previous article Nyex Beach Club,Goa to host Ministry Of Sound for NYE 2016!